An American documentary, focusing on a legendary Deeside strongman, has opened to widespread acclaim. The film, Stoneland, was largely shot at Aboyne Highland Games and Potarch in August this year, and tells the story of the legendary “Dinnie Steens”. 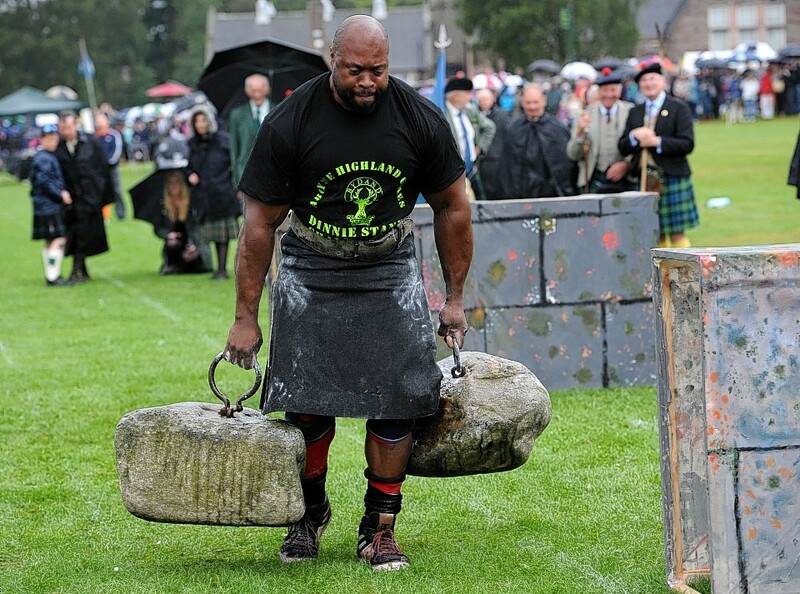 Weighing just shy of 770lbs together, the rocks were made famous by Birse athlete Donald Dinnie in 1860 when he carried them the width of the Potarch Bridge. 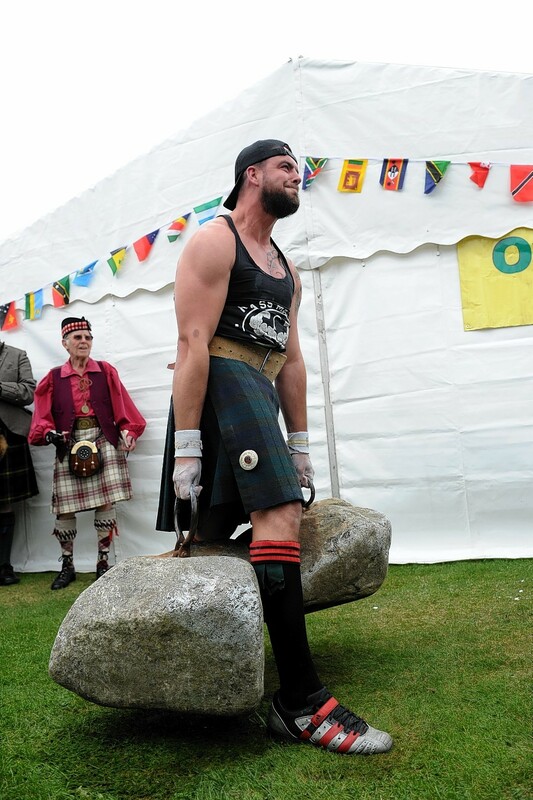 They have become arguably the most famous of the Scottish lifting stones, with strongmen flocking from all over the world to take on the gruelling challenge. Earlier this year, the stones were returned to their historic home outside Potarch Lodge on the Ballogie Estate. Martin Jansics, Bill Crawford, Brett Nicol, Stevie Shanks, Jan Todd, Jack Shanks, David Webster and Jim Splaine with the Dinnie Steens. Credit: Jim and Rosemary Splaine. Jack Shanks lifting and carrying the Dinnie Steens a7ft unsupported in 1973 – the first to do so since Donald Dinnie himself in 1860. James Gardner takes on the mighty Dinnie Steens at Aboyne Highland Games yesterday. Credit: Kenny Elrick. Stoneland was the brainchild of Texan weightlifting aficionados, producers Jan and Terry Todd, and was put together by Rogue Fitness in August. It was directed by Utah man, Todd Sansom. It features the individual who brought the Deeside rocks back into the limelight, David Webster OBE, retracing his steps as he reflects on the day he found them neglected on the banks of the River Dee after World War II. 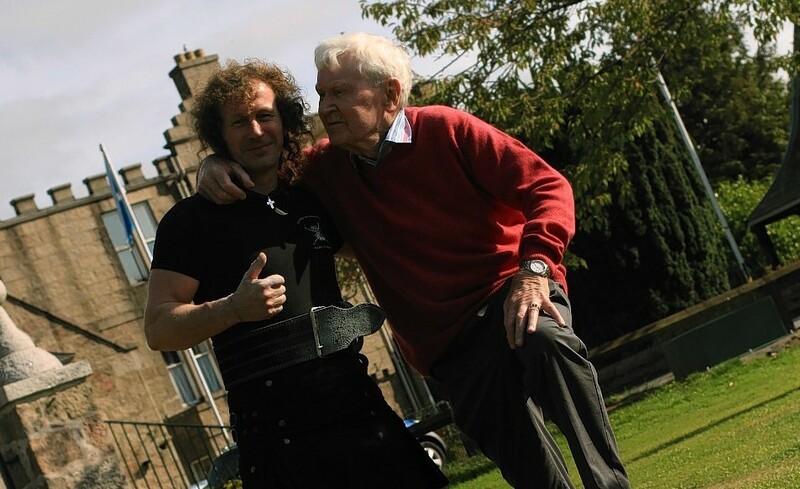 The film also features interviews with Dinnie Stones legend, Jack Shanks, who is credited with being the first person to lift them unassisted the same distance as the Victorian strongman did in 1860. His son, Stevie Shanks, who travelled to Deeside to lift the stones in 2015, also appears on camera, alongside Bridge of Don man, Jim Splaine, who hoisted them 65 times between 1973 and 1994. Stevie and Jack Shanks with the Dinnie Steens on Saturday. 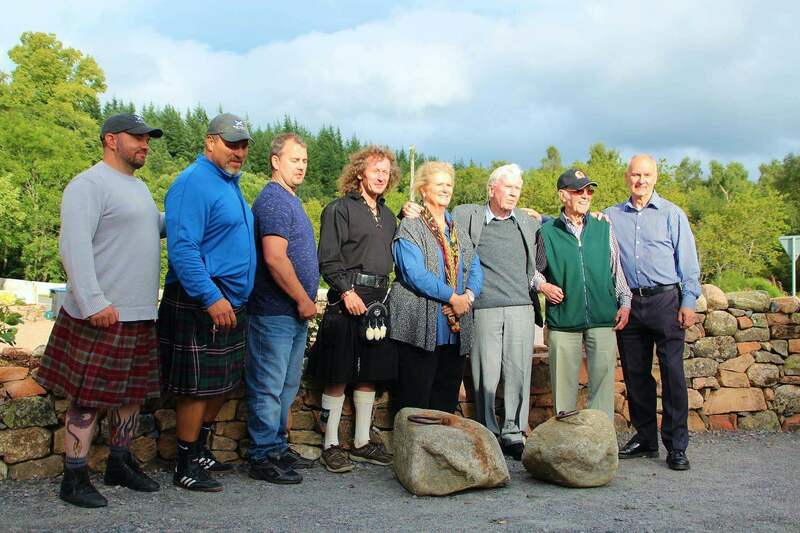 Last night, Ian Scott, chairman of the Aboyne Highland Games – which catered for the stones prior to Potarch Lodge’s redevelopment – said they were “blown away” by the quality of the documentary. 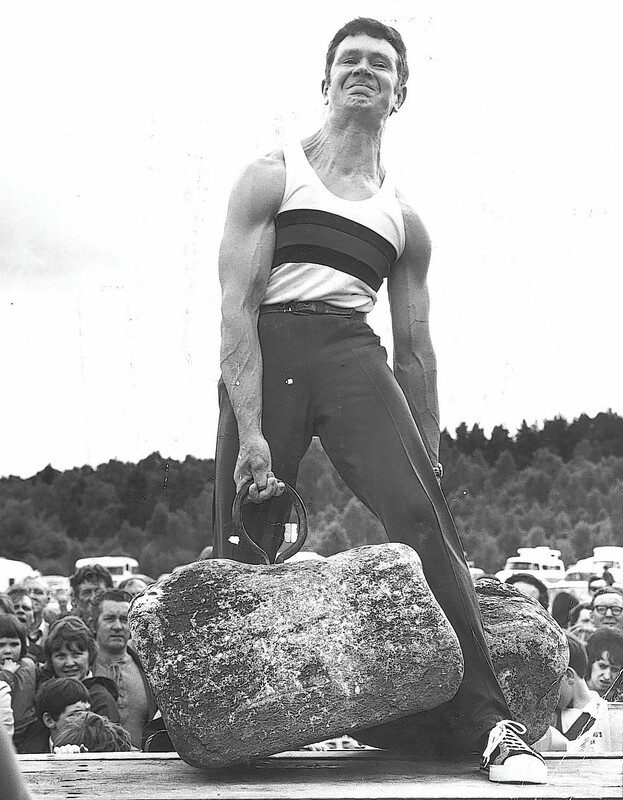 The gathering this year featured a Dinnie Stone “lift and hold” competition which was won by Englishman James Gardner, all of which is highlighted in the film. Mr Scott added: “We were taken aback by the number of people who came along, expressed interest and wanted to try and lift them.